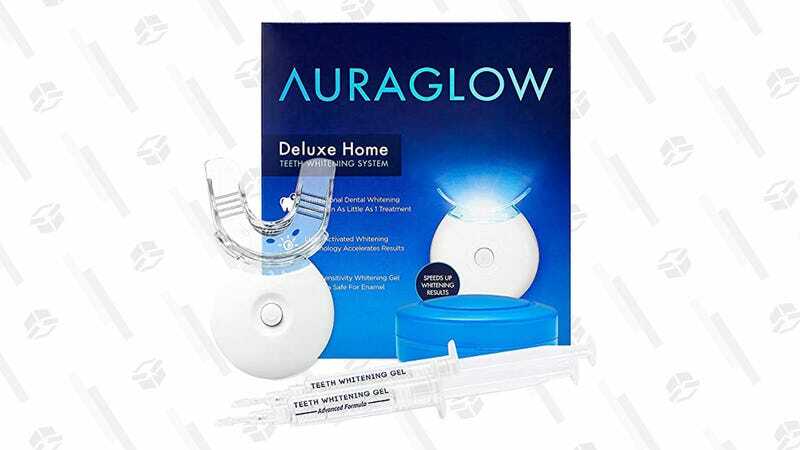 Full disclosure: You will look kind of goofy when you use this AuraGlow Teeth Whitening Kit. It’s worth it though, because right now, you can bring one home for just $46, after clipping the $3 off coupon. 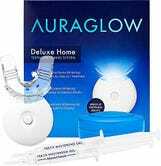 Included in the set is two syringes of whitening gel, plus an LED light that speeds up the whitening process, in addition to a mouth tray and case. Yes, the light makes you look like a duck, or just an adult sucking on a really big pacifier. But hey, no one said the teeth-whitening process would be pretty.